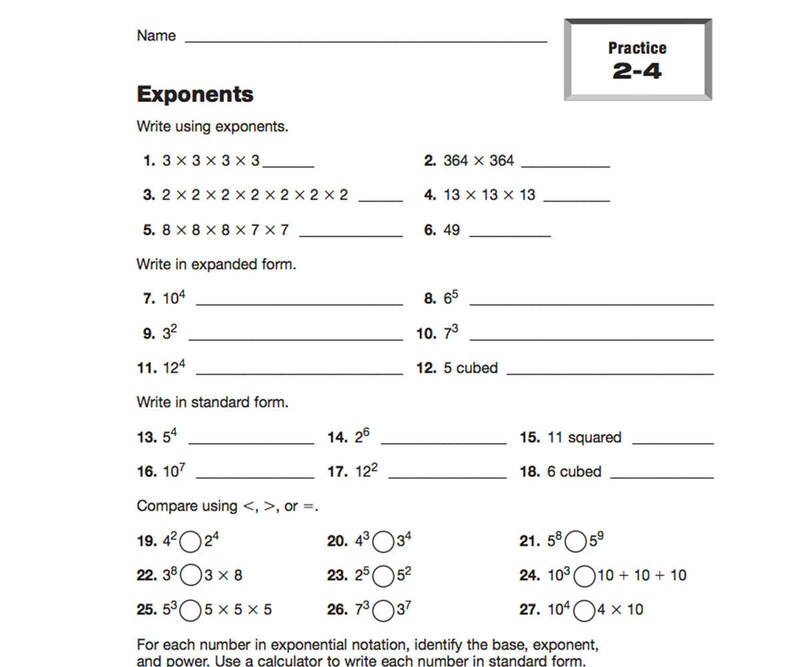 Students use exponents to rewrite expressions given. 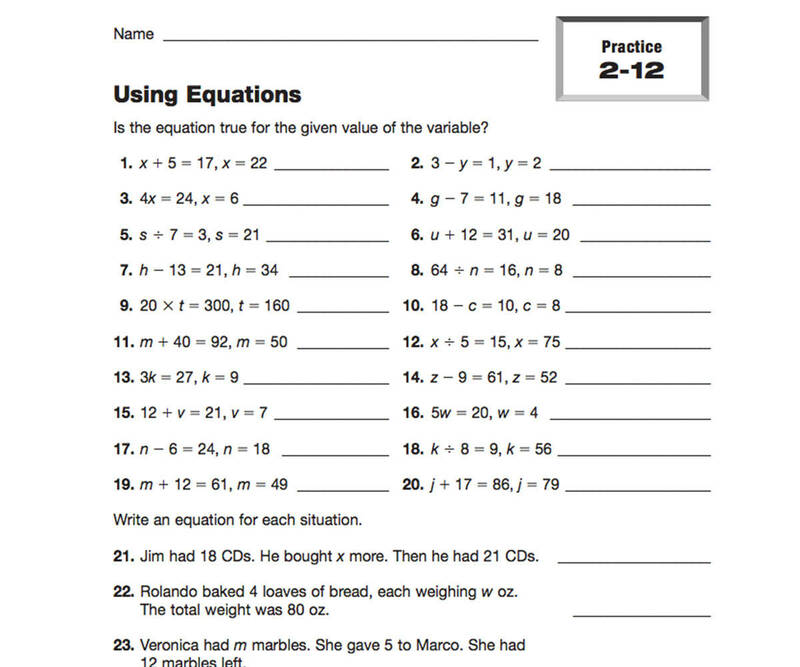 Students practice writing algebraic expressions and solving equations. 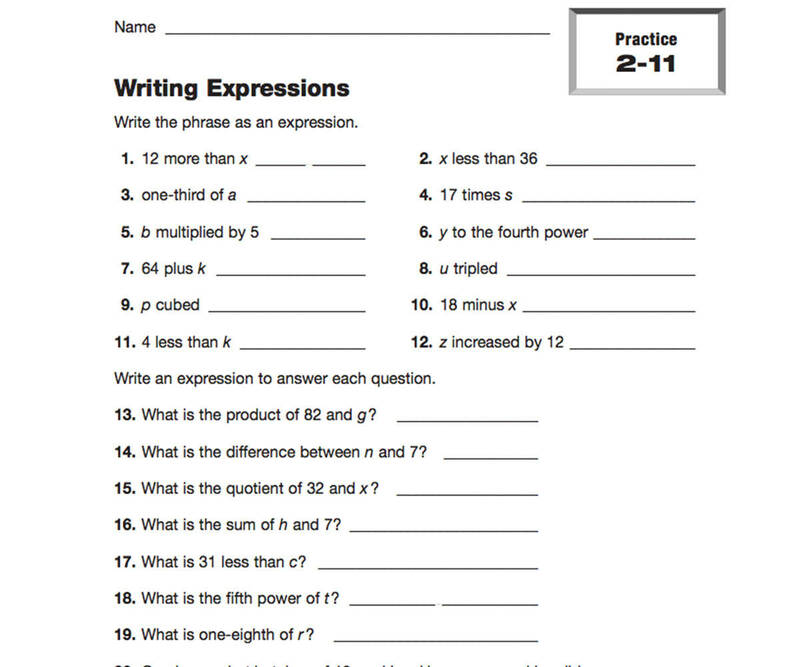 Students practice writing algebraic expressions with this printable. Interesting patterns in numbers are explored by using exponential notation.